Aristida dichotoma. Anna Gardner.Iowa State University.www.eeob.iastate.edu.research.iowagrasses.index.html. (Accessed 5/2014). Aristida genus grasses (with the exception of A. longifolia) have C4 metabolism (Voznesenskaya et al. 2004; Cerros-Tlatilpa and Columbus 2009) With a few exceptions they are annuals, and often weedy; usually branching from nodes; ligule very small. Leaves alternate, narrow, often in-rolled (involute), but sometimes flat. Flower spikelets with one floret, glumes narrow, membranous, tip pointed to short-awned; lemma hard (indurate), linear tipped by 3 elongate awns, rolled inward around the palea and grain. 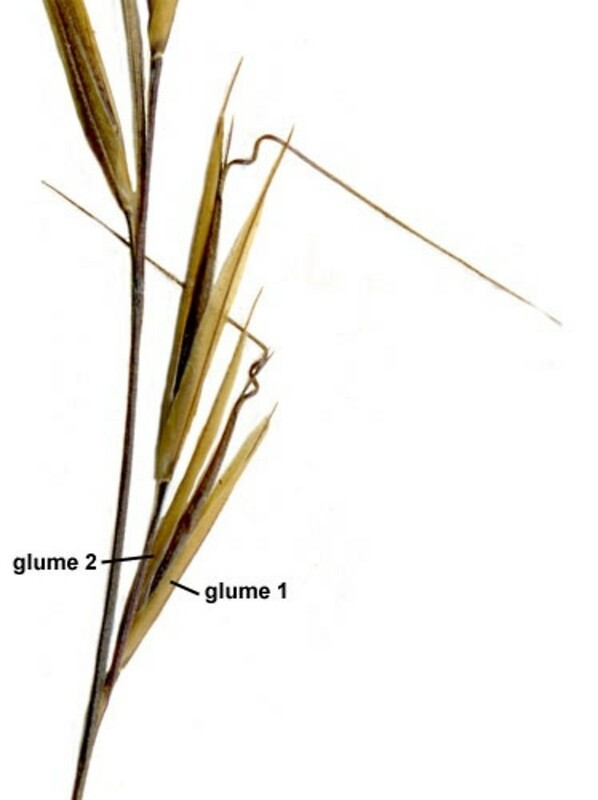 Awns initially parallel, becoming divergent at maturity or when dry. Habitat; our usually in dry, open sites.